Recent article by FAO speaks about the urgency of implementing the Voluntary Guidelines for Securing Sustainable Small-Scale Fisheries in the Context of Food Security and Poverty Eradication. The article also points to the significance of findings from the new TBTI book The Small-Scale Fisheries Guidelines: Global Implementation, which discusses challenges and outlines conditions and opportunities for a successful implementation of the SSF Guidelines. 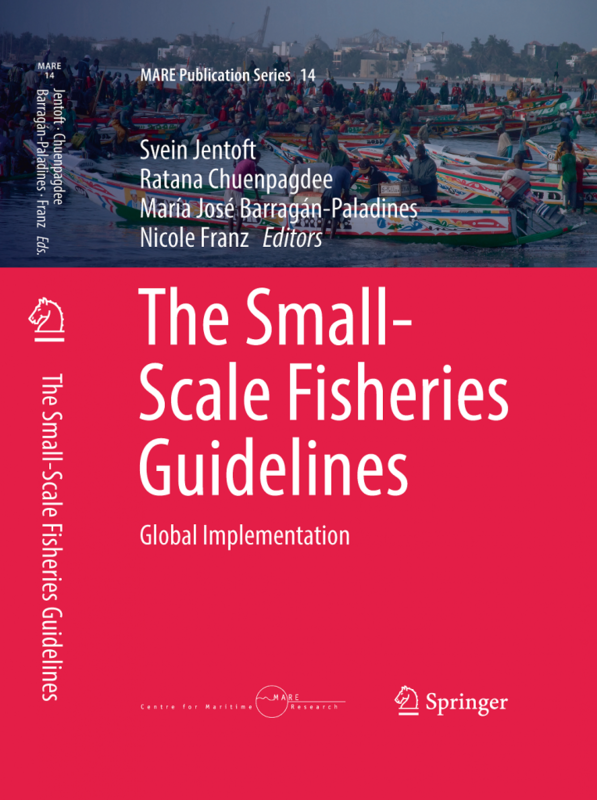 The book explores the extent to which the SSF Guidelines can help improve the realities of small-scale fishing men and women globally and make their livelihoods and communities more secure. This edited volume is a major achievement containing 32 case studies contributed by 94 authors. According to Nicole Franz, one of the book editors and FAO's lead officer on sustainable SSF: "Now it's time for policymakers to take concrete action – ranging from legislation, technical capacity development and especially engagement with the fishing communities themselves – to make sure the guidelines are implemented.". She added that policy coherence – pursued through inter-ministerial collaboration on trade, environment, tourism as well as social and economic development issues – must be the keystone for protecting the rights and livelihoods of the often poor and marginalized people engaged in the world's small-scale fisheries. To read the full FAO article, see Fishing to live: Time for action to support and protect small-scale fisheries.